The January transfer window is nearing its conclusion and clubs around the world are still working tirelessly to thrash out deals before the deadline. Many interpret the mid-season window as a bit of a circus, smacking more of desperation than necessity as clubs try to salvage their campaigns. Some of the most established names in world football are available and, while they may be entering the autumn of their careers, are still attracting potential suitors. So we’ve composed a list of the six players with the greatest pedigree – think club and international success – who could be on the move in the next 10 days or so. Vidic announced last week his Inter contract had been terminated after a rather underwhelming 18 months in Italy. The Manchester United great, who won five Premier League titles, three League Cups and the Champions League at Old Trafford, has reportedly been offered to lowly Aston Villa on a free. Fall from grace? It’s a long time since Robinho was terrorising La Liga and Premier League defences for Real Madrid and Manchester City respectively. The 31-year-old Brazilian, who allegedly thought he’d joined Chelsea rather than City back in 2008, recently left Chinese side Guangzhou Evergrande and has been linked with Swiss club Sion. Lavezzi has flourished in both Italy and France at Napoli and PSG but, with his contract expiring in the summer, is set for a new challenge. While he favours a return to Italy – Inter are favourites to sign him – Chelsea, Tottenham and Liverpool are all possible alternative destinations as PSG look to push through a deal imminently to avoid losing the Argentine for free at the end of the season. Astonishingly, Pato is still just 26 years old after bursting onto the European scene so emphatically nearly a decade ago with AC Milan. He’s spent the last few years fumbling around in Brazil in an attempt to reignite his career and harbours dreams of moving back to Europe, and that seems likely with Chelsea reportedly close to finalising an £8m deal for the forward. One of football’s greatest entertainers is clinging onto the remnants of his career, making his first appearance since September in Fluminense’s 1-1 draw with Shakhtar Donetsk at the weekend. Ronaldinho has failed to register either a goal or an assist in nine games for the Brazilain side, but he would still prove a luxury and lucrative signing financially for a host of European clubs. We’ve put him in this list purely based on his goalscoring records at Arsenal and Manchester City. 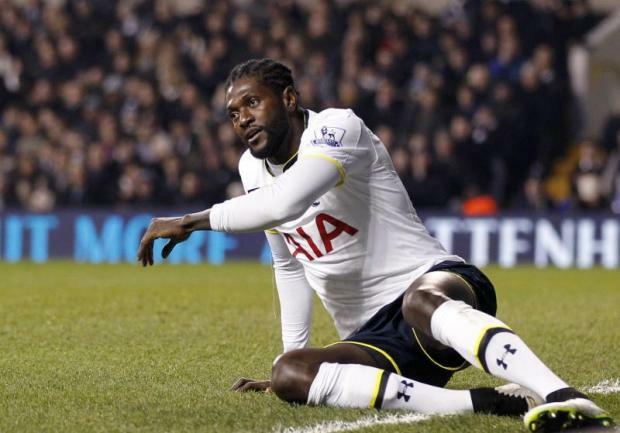 With a settled mentality, Adebayor would be an extremely useful asset for a number of Premier League clubs. Tottenham are still paying his extortionate wages and would love to offload him before the end of January, and Watford and Crystal Palace are both tipped to take the Togo forward off their hands.